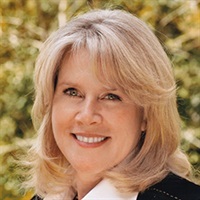 Tipper Gore, MA, received a Bachelor of Arts degree in Psychology from Boston University in 1970 and her Master’s degree in Psychology from George Peabody College at Vanderbilt University in 1975. Mrs. Gore worked as a newspaper photographer for the Nashville Tennessean until her husband was elected to Congress in 1976. Once named one of the “Ten Most Admired Women in the World,” she is a dedicated, hands-on advocate for issues of mental health, homelessness, and violence in the media. Mrs. Gore’s commitment to eradicating the stigma associated with mental illness and educating Americans about the need for quality, affordable mental health care placed her in the unique position to serve as the Mental Health Policy Advisor to President Clinton during her husband’s tenure as Vice President. In June 1999, she chaired the first-ever White House Conference on Mental Health, which interactively involved tens of thousands of Americans in over 1,000 cities across the country. In 1990, Mrs. Gore founded Tennessee Voices for Children, a coalition to promote the development of services for children and youth with serious behavioral, emotional, substance abuse or other mental health problems. She also served as co-chair of the Child Mental Health Interest Group, a non-partisan group of Congressional and Administration spouses. In 1996, Mrs. Gore published Picture This, A Visual Diary, which is a personal photographic representation of life as wife of the Vice President. Proceeds from the book were donated to the National Health Care for the Homeless Council, headquartered in Nashville, TN.